About Michael: Michael based the concept for DirtonDirt.com not only on his time in the news business, but his lifelong passion for Dirt Late Model racing. Before starting DirtonDirt.com, Michael was weekend sports anchor/reporter for the NBC affiliate in Madison, Wis. He has unparalleled enthusiasm not only for telling stories, but also for thinking of new ways and ideas to bring never-before-seen content to racing fans. He combines media experience with being a life-long race fan. Wearing those two hats allow him to perform his duties as DirtonDirt.com's TV personality with buoyant enthusiasm. He assembled the team that helped make DirtonDirt.com what it is today. About Amber: Amber is the backbone of the marketing and promotions department of DirtonDirt.com. She came with four years of experience in marketing and promotions as marketing director for several radio conglomerates, and was also an on-air personality. She has a unique, creative mind that helps guide the creation and development for all promotional and marketing campaigns. 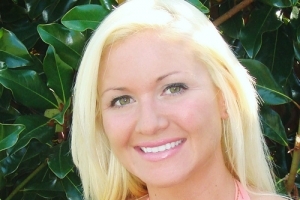 Amber started with DirtonDirt.com by developing subscribers on location at various races across the country. She now primarily assists in the development and execution of all promotions, marketing, and events in order to maintain an efficient, credible, and profitable marketing and promotions department. 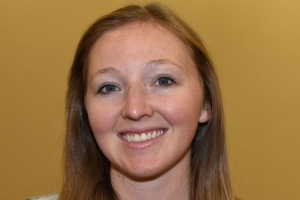 About Alli: After contributing for over a year, Alli joined DirtonDirt.com full-time in July 2014 following stints as a reporter for The Morehead News and The Jessamine Journal. As the niece of a Dirt Late Model driver, Alli fell in love with dirt racing at a young age and began writing for Dirt Late Model and Dirt Modified magazines in 2013. With DirtonDirt.com, Alli works as writer and editor, authoring exclusive pieces and contributing to RaceWire; she previously managed social media. She received a journalism degree from Morehead State University in 2013 and has a graduate degree from the University of Kentucky. She's continuing her education at the University of the Cumberlands. About Steve: A life-long dirt racing fan, Steve has amassed a catalog of more than 2,500 race videos while shooting at tracks nationwide over the past 25 years. 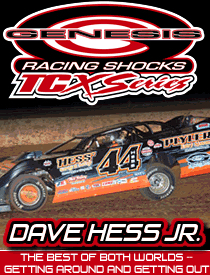 Steve began attending races in 1964 at Hagerstown Speedway and launched Sports Plus Video in 1987. Steve has averaged more than 100 events per year over the last 20 years and hasn’t missed Florida Speedweeks since 1992. Steve has provided video for many top Late Model tours through the years including Hav-A-Tampa, STARS, World of Outlaws, Lucas Oil and television shows such as ESPN’s RPM 2Night. Sports Plus Video covers every event at Williams Grove, Hagerstown, Lincoln and most Pennsylvania sprint car races. About Gilly: A life-long race fan, her weekends as a child were spent in the grandstands at Midway Speedway in Crooksville, Ohio, and Muskingum County Speedway in Zanesville, Ohio. Her work shooting races began at Ohio’s Hilltop Speedway the evening of her college graduation day, and her father would sell racing DVDs while she shot the action. Since then, Gilly has contributed to several video production teams nationally. In addition to her video work, she operates the websites for Atomic Speedway, Jackson County Speedway and I-77 Speedway. 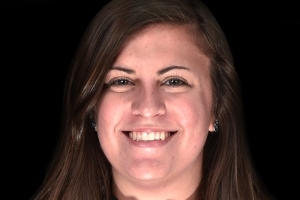 She became a DirtonDirt.com staffer in 2018. She has a degree in photojournalism from Bowling Green (Ohio) State University. Robert attributes his love for racing to his stepfather, who drove Late Models, sold race cars and parts and promoted events in Middle Tennessee, Alabama and Mississippi. Robert offers a unique perspective on Dirt Late Model racing after learning its many facets at a young age. He began traveling throughout the Southeast and contributing to The Racing News before graduating with a mass communications degree from Middle Tennessee State. Previously an editor at National Dirt Digest and DirtonDirt.com blogger, he spent 14 years as an award-winning sports editor and newspaper publisher in Middle Tennessee. Robert and his wife Jaime have a daughter, Amberlyn, and a son, Riley. About Dustin: A racing announcer, columnist and publicist since the mid-1990s as well as a longtime DirtonDirt.com contributor, Dustin has played roles in the sport’s biggest events, including six seasons as the announcer at historic Eldora Speedway. Other previous duties included online announcer on the Lucas Oil Late Model Dirt Series, PR director-announcer for the Battle of the Bluegrass DirtCar Series and columnist (Mid-American Auto Racing News, Tri-State Auto Racing News and RPM Racing News). The track chaser (with nearly 250 tracks among 47 states) is married to Kimberly and has a son (Chase) and dog (Reilly). He also works as an educational consultant and enjoys hunting, traveling and announcing high school sports. About Derek: A graduate of Illinois State University, Derek’s involvement with DirtonDirt.com began with an internship during the summer between his junior and senior years at ISU. 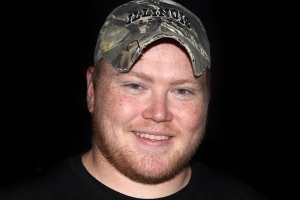 He worked part time at DirtonDirt.com through his senior year and joined the full-time staff following his graduation in May of 2012. Derek lists Fairbury American Legion Speedway as his home track and has been attending events at the central Illinois oval since well before he could walk. Along with his videography skills, Derek provides an intense excitement that helps inspire and invigorate the entire DirtonDirt.com staff. Promoted to website video director in 2018, he also handles the popular SuaveTalk and Suave on the Street segments. 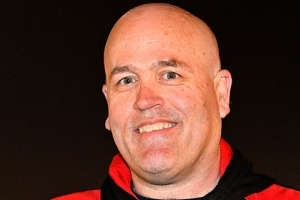 About Kevin: A life-long racing fan, Kevin came to DirtonDirt.com after serving as World of Outlaws Late Model Series public relations director for eight years. Growing up in Raritan, N.J., he started attending the weekly big-block modified races at Flemington (N.J.) Speedway at age 9 before his parents took him to other tracks in the Northeast. By high school, he was writing race reports for Area Auto Racing News, where he joined the staff as a columnist, writer and editor after graduating from Lock Haven (Pa.) University in 1995. With his focus moving to Late Models in 2006, Kevin has also contributed to other racing publications, including Dirt Late Model magazine. Kevin and his wife Lori have a son, Kael. 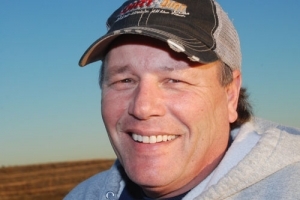 About Michael: One of four Illinois State University graduates on the DirtonDirt.com staff, "Tern" grew up going to races at Farmer City (Ill.) Raceway and Fairbury (Ill.) American Legion Speedway. Michael studied mass media with an emphasis on interactive media during his years at the Normal campus. While at Illinois State, he directed shows for the campus TV station to fulfill his goals of working in live programming. He served two stints as an intern with DirtonDirt.com during his junior and senior years, shooting and editing video, especially during the UMP DIRTcar Summernationals. As a full-time staff member, he plays a key role on the live production team, directing pay-per-view shows. About Kane: A true jack-of-all-trades when it comes to DirtonDirt.com’s pay-per-view productions, Kane came to DirtonDirt.com through his long-time friendship with live production director Michael “Tern” Reiners. Along with assisting in the setup and pre-production of live shows, Kane handles instant replays and graphics and steps in occasionally to direct. He also helps with pay-per-view technical support and fills a variety of other roles key for DirtonDirt.com's successful broadcasts. The Prairie Central High School graduate has taken courses at Heartland Community College and envisions a career in technology, following the footsteps of his mother, a network engineer in the IT field for 35 years. 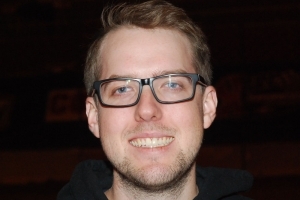 About Andy: Andy has filled a cross-functional and wide-ranging role since joining DirtonDirt.com as a contributor and analyst in March of 2011. 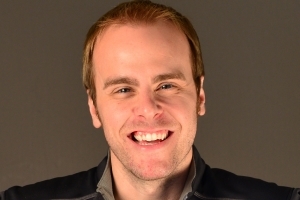 As a graduate of Iowa State University, Andy brings a sound business acumen, progressive thinking and versatility that are essential in keeping DirtonDirt.com's business functions and day-to-day operations efficiently on line. 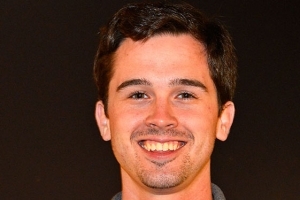 In addition to his business duties, Andy also serves frequently as a writer and editor, offering a unique, numbers-driven perspective on Dirt Late Model racing. He also contributes to the weekly Quick Time column. 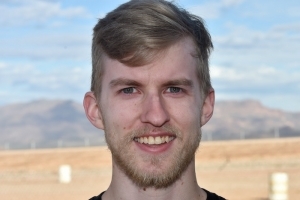 About Dylan: Growing up in a family that followed sprint car racing, Dylan became interested in media content creation starting in junior high school by shooting video at his hometown Fremont Speedway. He added other northwest Ohio dirt tracks to his shooting schedule and later attended Fremont’s Vanguard-Sentinel Career and Technology Center to learn more about broadcasting, competing in the SkillsUSA state competition for film production and leader conferences. 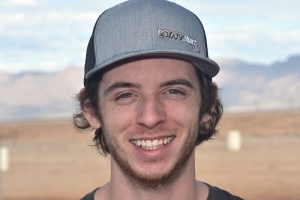 Connecting with Loudpedal Video’s and DirtonDirt.com staffer Tim Truex, he landed an intern position at DirtonDirt.com in 2018 and was the site’s action shooter during the DIRTcar Summer Nationals. Along with his videography work, Dylan designs graphics among his DirtonDirt.com duties. Tim grew up shooting racing video with his father Mike, who started shooting video as a hobby at Ascot Park in the 1980s. Founding Loudpedal Productions in 1998, Tim started shooting video every weekend in 2004 at Ventura Raceway with Loudpedal eventually becoming USAC’s media provider. His video has appeared on Speed Channel, Fox and ESPN. 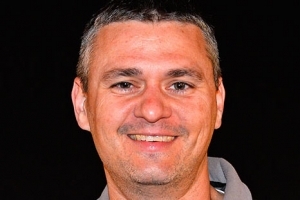 His first association with DirtonDirt.com came in producing well-received Knoxville Nationals and World 100 videos, and he joined the staff full-time to broaden the site’s advertising, promotional and feature videos. 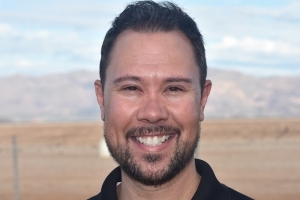 He has a bachelor’s degree in health information management from Loma Linda University. 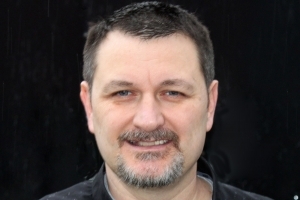 About Todd: Todd is among the most recognizable writers in Dirt Late Model racing. His 20 years of experience covering the biggest events make him the easy choice as the go-to-guy when it comes to delivering a Dirt Late Model story. Before joining DirtonDirt.com, Todd was the editor and page designer with National Dirt Digest. 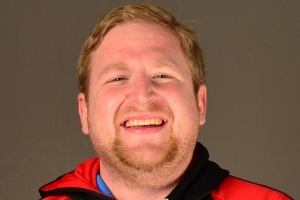 In nine years at NDD, he was responsible for coast-to-coast coverage, layout and photo editing. Those skills, coupled with his creative and vivid writing style, are among many he brought to DirtonDirt.com. Along with his DirtonDirt.com duties, Todd has contributed to several other racing publications. He was 2017's winner of UMP DIRTcar's Bob Memmer Achievement Award.